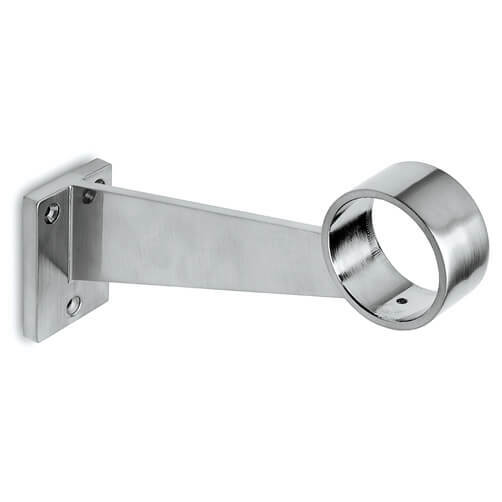 Bar foot rail bracket with a simplistic, modern single stem design. Manufactured from Zintec/Protectan with a brushed stainless steel effect finish for internal use. Three countersunk fixing points for quick and easy attachment. Supplied with screws for direct installation on to hardwood surfaces. 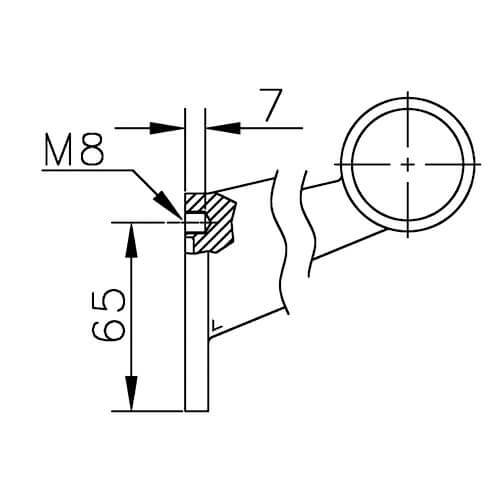 Tubular foot rail is held firmly in place using a grub screw mechanism situated on the under side of the mount. 1. 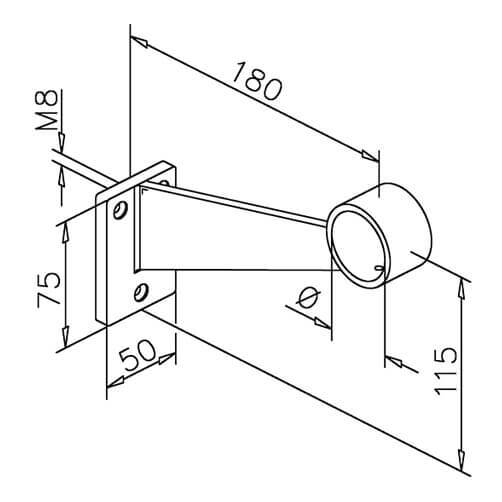 Start by marking the fixing position of the foot rail bracket, use a few household tools to secure your bar mount bracket in place with the screws provided (you may wish to use your own screws dependent upon mounting surface).